Sh2-308 is an emission nebula in the constellation Canis Major. It is located in the central part of the constellation, about 8 ° south of Sirius. It is a big bubble that surrounds the Wolf-Rayet star WR 6, also known as EZ Canis Majoris - a sixth magnitude star. 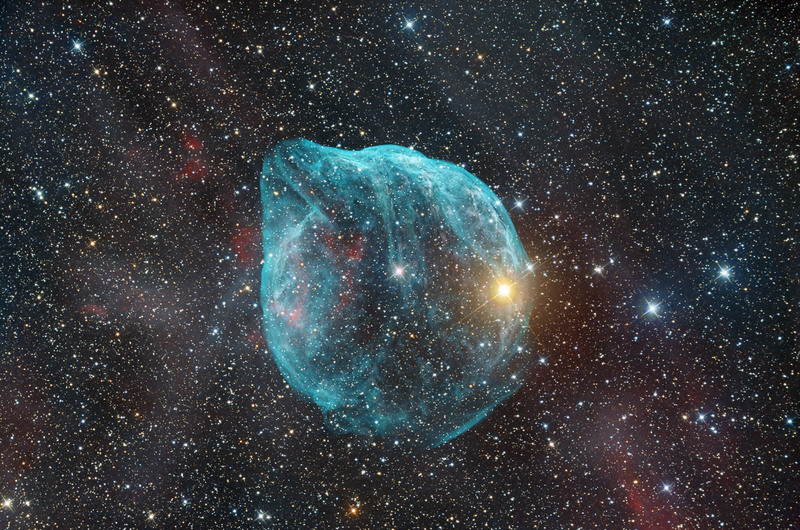 This cloud originated about 70,000 years ago from the material lost by the star explosion, which because of its strong stellar wind has wrapped all around to form a bubble structure. The extension of the cloud is about 6 parsecs (19 light-years) and its distance is estimated at about 575 parsecs (1875 light-years).